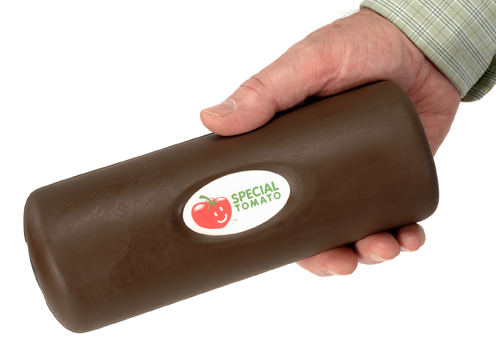 Home > Special Tomato Soft-Touch Rolls > Therapy Roll - Soft-Touch 3" x 8"
Special Tomato Soft-TouchTherapy Roll 3" x 8"
Special Tomato Soft-Touch® Rolls are available in the small size of 3" x 8". When a large roll is not appropriate for therapy, this smaller roll can be used in various therapies. Clinical applications include using to help normalize muscle tone and decrease primitive reflexes, to support smaller body parts when range of motion is limited, to maintain leg separation while seated, used in car seats to position legs or trunk, and used under the feet to develop balance reactions.